PrepLadder congratulates Dr. Sashwanthi Mohan on getting her dream seat in one the most prestigious institutes in India. We wish her the best in life and career ahead. Here, she shares some tips to help you achieve this too. At PrepLadder we measure our success by the number of successful students. We congratulate her for achieving her dream branch Radio diagnosis. In conversation with PrepLadder she talks about how she managed to achieve this and how you can do this too. As NEET PG exam is approaching, it is high time to burn the midnight oil for getting a desired rank. In case you are still twiddling your thumbs to begin preparation, it is better to get back to study now and prepare study schedule for next year exam. For those who have completed or are about to complete the syllabus at least once, it is important that you continue to revision in these last vital months. NEET PG will be way more competitive that AIPG ever was. More than 1 lakh competitors are expected to take NEET PG this year, whereas AIPG was taken by only 75,000 candidates. Why is it that most of the candidates fail to clear the exam? In this post we will cover the reasons. Experts at PrepLadder will give you a few substantial reasons on why aspirants are not able to get an MD/MS seat of their choice in their first or second attempt. Strive not to commit such mistakes when you appear for NEET PG in December this year. NBE PGMEE preparation of medical students ends up in a fiasconear to Exams. Now, there are ‘n’ number of reasons for the failed efforts towards preparations. Various unforeseen circumstances, procrastination, work schedule, heavy internship work, etc. can be the potential reasons towards failure in preparations. This article is a compilation of the 9 important hacks to help you prepare for PGMEE better than your competitors. These hacks are prepared by our experienced faculty and if implemented properly, these will ensure your success in various PGMEEs. NEET PG being a highly competitive exam needs full concentration, dedication, and focus. Cracking entrance exam is not easy. Therefore, it’s extremely important to plan out a strategy and ace up your sleeves for the precious time before the exam. Everyone strives to do his/her best as competition is much high. But there is always “Survival of the fittest”. For this, you first need to be optimistic and have faith in yourself and study hard to be a winner. This blog will help and guide you to prepare and make a strategy for your exam as this stage is crucial and many lose their confidence due to lack of motivation. So keep motivated and continue with your preparation. Candidates can find many articles on how to prepare for NEET PG, what to do, tips, strategies, tricks and what not? These topics help a lot in building the right strategy. But, however these are not sufficient because sometimes a candidate may commit some mistakes which could turn to be disastrous because things to be avoided were not mentioned anywhere. So here we are with things to be avoided at all costs while preparing for NEET PG. With the Conclusion of Round 1 of AIPGMEE, PrepLadder is here with the analysis of the interesting events that transpired during the 1st Round of Counselling of AIPGMEE 2016. Counselling lasted for 2 days commencing on 21st March and concluding on the next day. Result for the same was declared on 23rd March 2016. Result for NEET-MDS 2017 was declared on 6th January 2017. However, it was mentioned that this result is not final for All India 50% Quota. 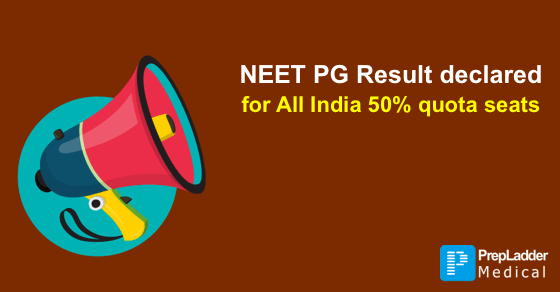 NBE has now released merit list for All India 50% Quota. 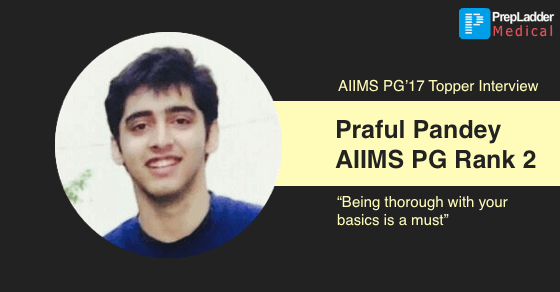 PrepLadder congratulates Dr. Praful Pandey on achieving AIIMS PG Rank 2 held in May 2017. We wish him all the best for his career and future ahead. Dr. Praful emphasized that revision and MCQ based approach is the key to crack the exam. 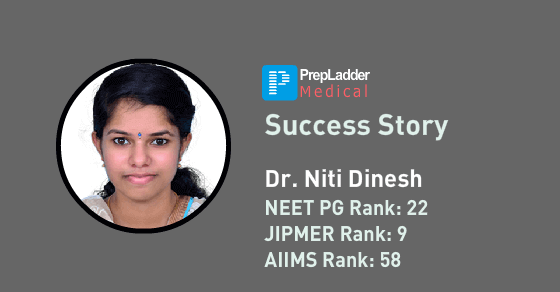 PrepLadder congratulates Dr. Niti Dinesh on securing Rank 9 in JIPMER and Rank 22 in NEET PG exam. We wish her all the best for her career and future ahead. In this exclusive interview with PrepLadder, she shares the plan that worked for her to help you get an amazing Rank in NEET PG. For each and every medical aspirant who wishes to get admission in any Medical PG course, there are a few indecisive situations that need to be resolved by them. Out of all, one of the most important decisions to be made is which hospital one should choose for their PG course. 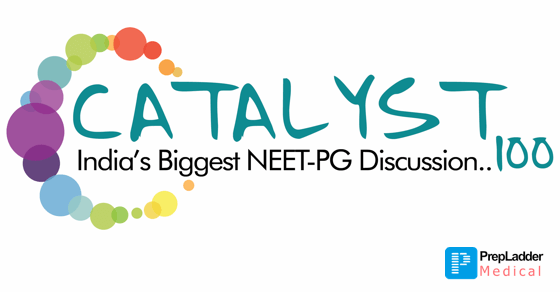 CATALYST 100, India's biggest NEET PG discussion module. NEET-PG is now almost a 100 days away and there is no time to lose. To give your preparation a boost in these final crucial days PrepLadder brings The CATALYST-100. CATALYST-100 is a carefully designed 100-Day module established to revamp your preparation and help you gain an edge over other aspirants in the final and the most crucial 100 days. 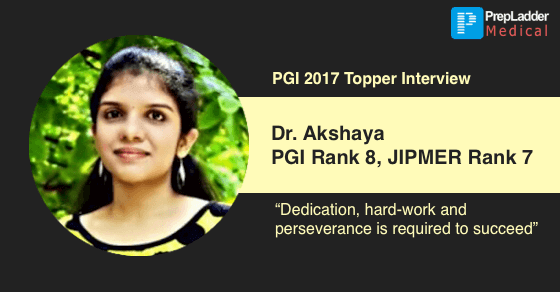 PrepLadder congratulates Dr. Akshaya on achieving PGI Rank 8/ JIPMER Rank 7. We wish her all the best for her career and future ahead. Dr. Akshaya took daily tests and subject tests which were short and refreshing during her preparation. Since the declaration of NEET PG result PrepLadder has been receiving hundreds of emails daily to enquire about the number of DNB seats in India/their state. 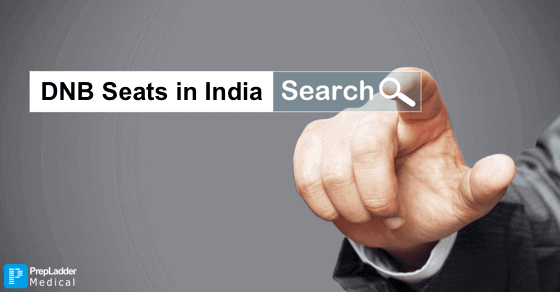 There is no tool is available to search for the available DNB seats in India. So PrepLadder’s teach team created one. 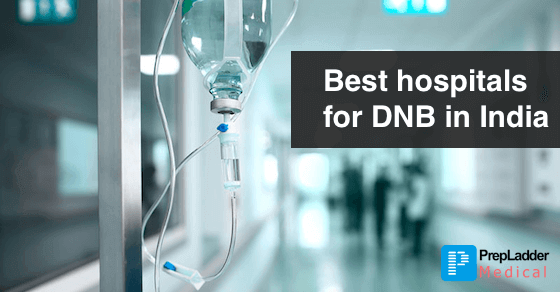 You can use PrepLadder’s DNB Seat search tool to know the number of available DNB seats which will help you make an informed choice in the counseling process. 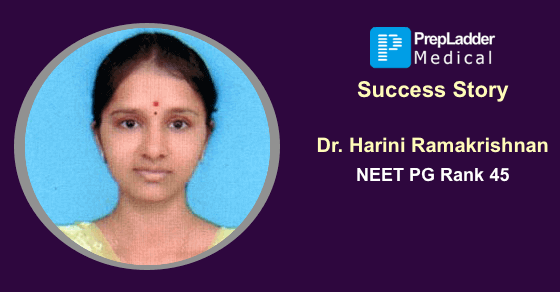 PrepLadder congratulates Dr. Harini Ramakrishnan on securing All India Rank 45 in NEET PG exam. We wish her all the best for her career and future ahead. In this exclusive interview with PrepLadder, she shares the plan that worked for her. 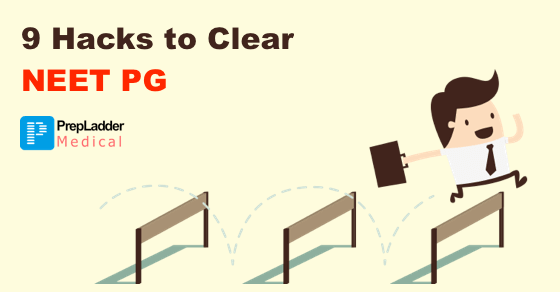 Use these tips to get an amazing Rank in NEET PG. PrepLadder congratulates Dr. Samarth Gowda on securing Rank 48 in PGI and Rank 142 in NEET PG. We wish him all the best for his career and future ahead. In this exclusive interview with PrepLadder, he shares the plan that worked for him to help you get an amazing Rank in NEET PG. 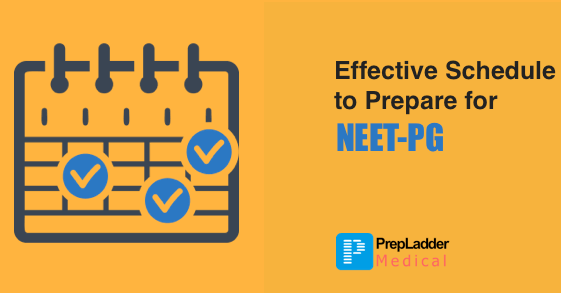 It is the need of hour to commence your preparation with an effective schedule to crack NEET-PG when days are already numbered. While many of you must be putting in a lot of efforts, but smart study plan is like an icing on the cake.